Get ready at your hotel at 8am. Your guide will bring you to Daw Cho Mohinga Teashop for a typical local breakfast. Then, continue to the fascinating golden Shwedagon Pagoda for an exploration. Follow your guide to a collection of surrounding monasteries, workshops and markets, where you’ll be provided with unexpected insights into the culture of the Burmese. After stopping to make small offerings to the monks residing at the shrine, wander the sprawling grounds of the temple complex. We’ll also stop by a local fortune-teller for your chance to hear about the Burmese spirits that characterise the country’s ancient religious practices. 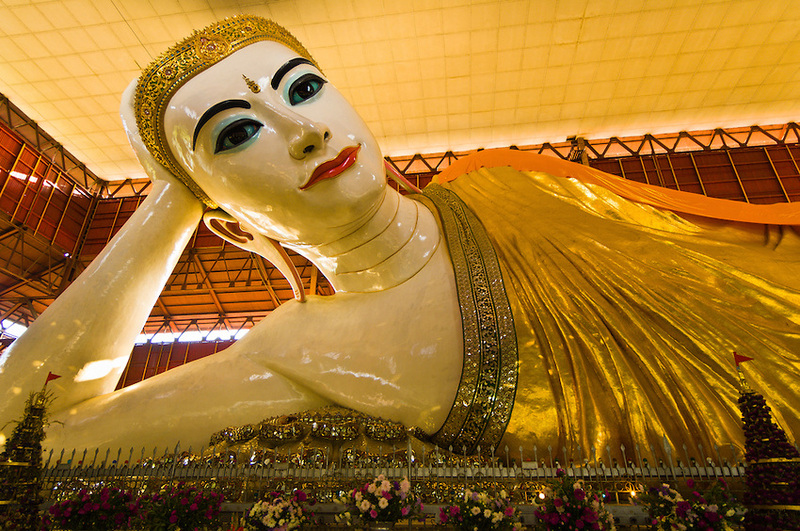 Stare up in awe at the 99m gold-covered pagoda and its stupa before having lunch at Aung Thu Kha Restaurant. Your exploration finishes at the door of your hotel.